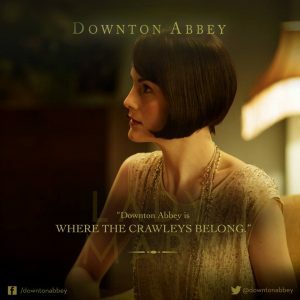 Homesick for Downton Abbey? Join the Geneva Historical Society and First Choice Travel for an overnight trip to see Downton Abbey: The Exhibition in New York City on August 25 to 26. The trip will begin with free time to explore Midtown Manhattan with dinner at your own expense. The following morning we will visit Downton Abbey: The Exhibition. Based on the beloved television series, Downton Abbey: The Exhibition will transport you to post-Edwardian England, where the characters and the iconic house come to life. You’ll be immersed in the fascinating social history, culture, and some of the most memorable moments from the show’s six-season run. To continue the celebration of all things Downton, we will have a special Tea Master Class at T2 Teas. The cost for the trip is $289 per person double occupancy. A $100 deposit due on May 31 and a final payment based on hotel occupancy is due by July 3. Make checks payable to: 1st Choice Educational Tours. The overnight trip includes motor coach transportation, tour manager, overnight accommodations, a breakfast, and all admissions. On August 25 the bus will leave from the Staples Plaza on Routes 5 & 20 at 7:00 a.m. and will turn to Geneva around 10:00 p.m. the following day.